Singer Ed Sheeran poses at the Wonderwall portrait studio during the 2013 CMT Music Awards at Bridgestone Arena on June 5, 2013 in Nashville, Tennessee. 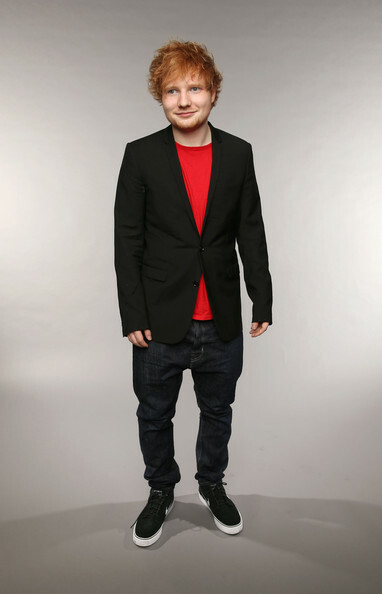 Ed Sheeran chose a classic black blazer to pair over a tee for a super cool and easy look. Ed chose a pair of dark-wash skinny jeans with a drop crotch for his look at the CMT Music Awards.